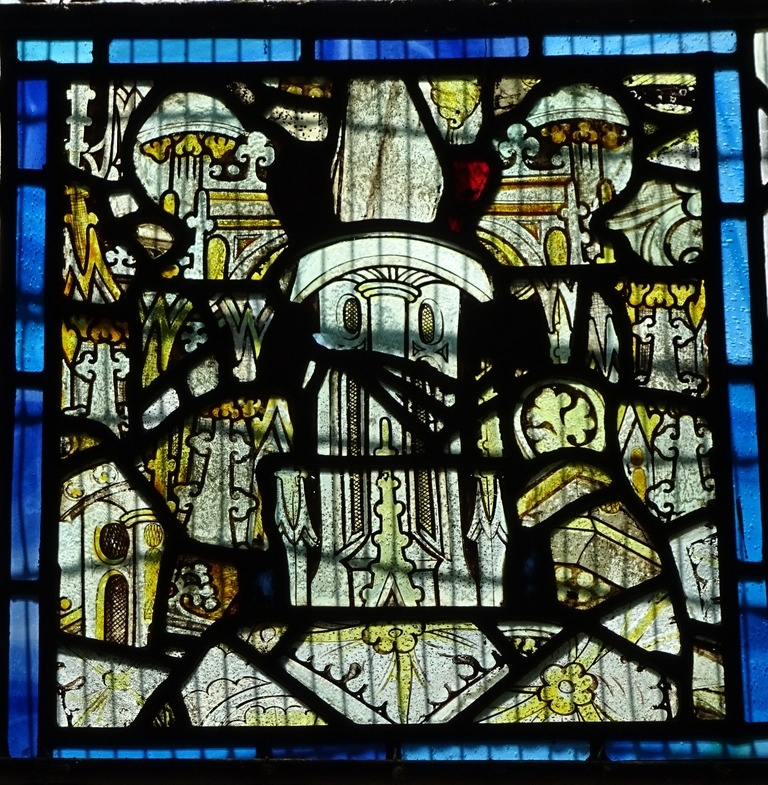 Today is St Swithun's Day, when the weather-gods obey the saint of Winchester - 'St Swithun's day if thou dost rain / For forty days it will remain', and all that. 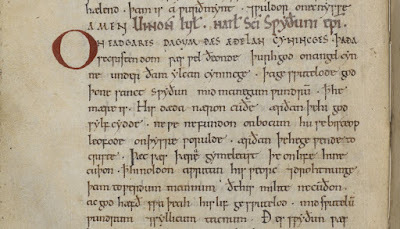 So let's look at a few extracts from an Old English homily for St Swithun's Day, written by Ælfric in the last decade of the tenth century. 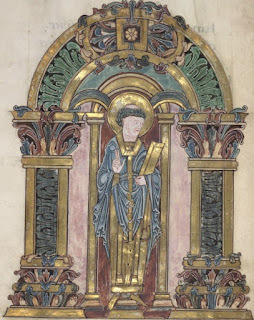 Ælfric had a personal connection to Swithun's story, and in this homily he adds in one or two comments to remind us of it. 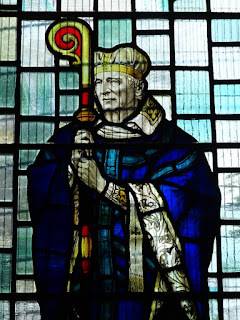 Swithun was an obscure ninth-century Bishop of Winchester whose fame is almost entirely the work of Æthelwold, his successor at Winchester more than a century later. 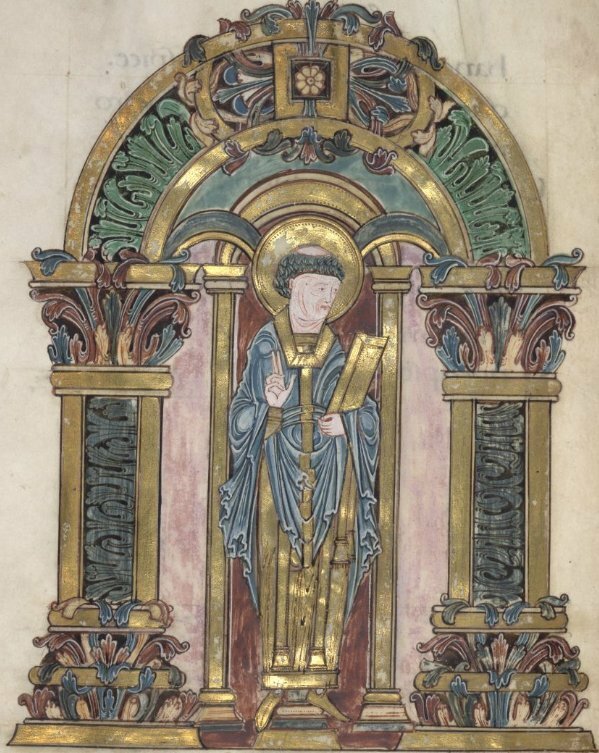 Winchester was the royal city of Wessex but it was surprisingly short on saints, so Æthelwold did his best to elevate some of his predecessors to that status, including Swithun and St Birinus (a better-attested saint, though his popularity never caught on as Swithun's did). On 15 July 971, Æthelwold had Swithun's remains translated to a new shrine inside the Old Minster, Winchester. Ælfric, who was educated at Winchester under Æthelwold and had a great respect for his bishop, would have witnessed much of this, and by the time he wrote about it, around 25 years later, he had come to see Æthelwold's time - his own youth - as a kind of golden age for the English church, when the king and holy bishops worked together and religion and peace flourished in the land. By the 990s, with the Vikings suddenly once more a pressing threat, this seemed to him like a bright but vanished world. mid manegum wundrum þæt he mære is. on þysre worulde ærðan þe he gewende to Criste. mid swutelum wundrum and syllicum tacnum. and eahta bisceopas wæron betwux him and Sancte Æðelwolde. oþþæt his wundra geswutelodon his gesælða mid Gode. In the days of the noble king Edgar, when by the grace of God Christianity was thriving among the English people under that king, God revealed St Swithun, showing by many signs that he is glorious. His deeds were not known until God himself made them known, and we do not find written in books in what manner the bishop lived in this world before he went to Christ. Such was the carelessness of those who knew him in life, that they did not write about his deeds and conduct for the benefit of future generations who did not know his virtue; but God nonetheless made known his life with manifest miracles and wonderful tokens. 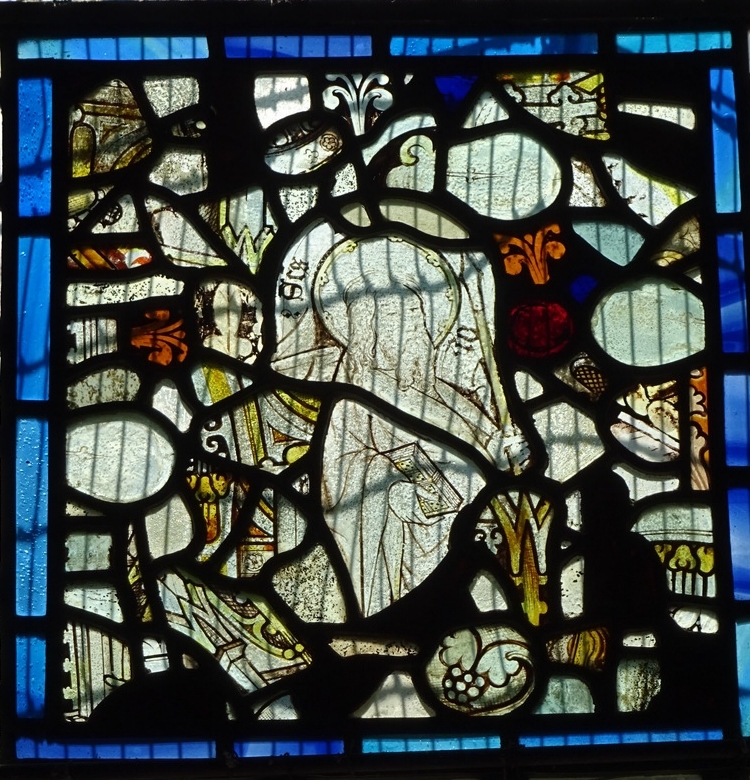 This Swithun was Bishop of Winchester, that is, over Hampshire, a blessed servant of God; there were eight bishops between him and St Æthelwold. 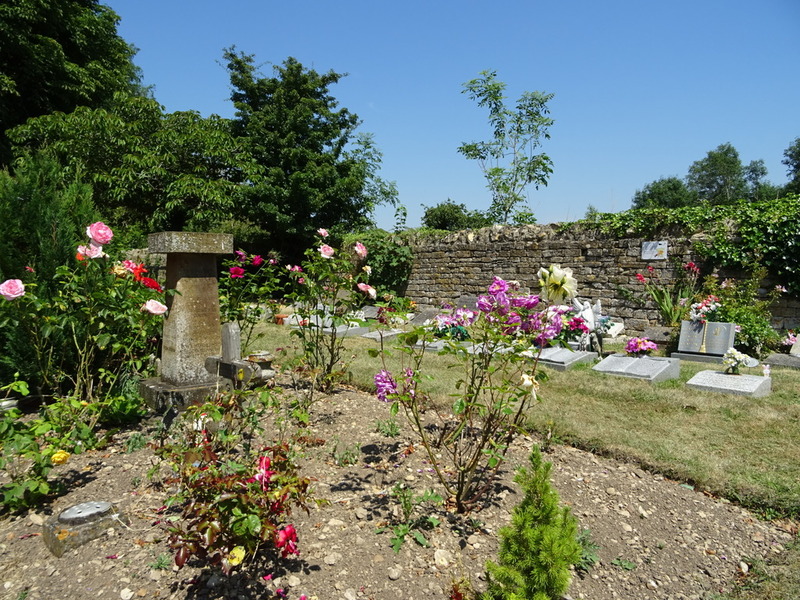 Now, as we said before, nothing about his life is known to us, except that he was buried at his episcopal seat, to the west of the church, and a tomb was built over him, until his miracles revealed that he was blessed by God. þonne wat he to soðan þæt ic þe sende to him. þonne ne sceall he nates hwon þinre sage gelyfan. and efste anmodlice to þam ecan life. nolde beon gesewen unsoðsagul boda. hwi he nolde gehyrsumian his hæsum mid weorce. swilce hit on sande stode, and he swyðe þæs wundrode. þæt nan man ne mihte hit þanon ateon. and bæd hine georne þæt he hit abude him. þeah ðe se sanct wære gesib him for worulde. and þær wunode oðþæt he gewat of life. þe on hine hihtað forðan þe he hælend is. 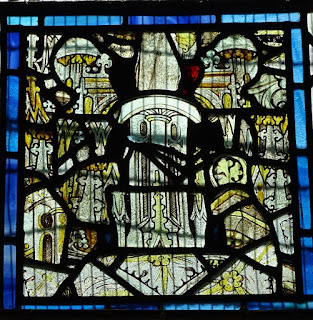 Three years before the saint was brought into the church from the stone coffin which now stands inside the new building, the venerable Swithun appeared to a certain faithful blacksmith in a dream, richly adorned, and said to him: "Do you know the priest called Eadsige, who, with the other priests, was driven out of the Old Minster by Bishop Æthelwold because of their sinfulness?" 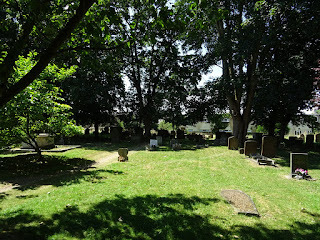 The smith answered venerable Swithun, "I knew him long ago, sir, but he went away from here, and I don't know for certain where he lives now." 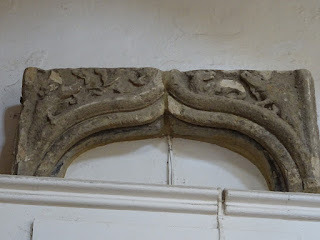 Then the holy man spoke again to the old smith: "Truly, he is now settled at Winchcombe, and I command you now, in the Saviour's name, to swiftly tell him my message, and tell him truly that Bishop Swithun orders him to go to Bishop Æthelwold and say that he should open my tomb himself and bring my bones inside the church, because it has been appointed that in his time I should be made known to men." And the smith said to him, "But, sir, Eadsige will not believe my words." The bishop said, "Let him go to my tomb and pull a ring out of the coffin, and if the ring comes away at the first try, then he will know for certain that I sent you to him. If the ring will not come away by his effort alone, then he should not put any faith in what you have said. Tell him, also, that he should amend his behaviour and conduct to the will of his Lord, and hasten with a single purpose towards eternal life. And tell everyone that as soon as they have opened my tomb, they will find there a hoard so valuable that their precious gold will be worthless compared to those treasures." The holy Swithun then left the smith. The smith did not dare to speak of that vision to anyone, not wishing to be thought a liar. But the holy man spoke to him again, and yet a third time, and severely challenged him why he would not obey him and put his commands into action. So the smith went to the tomb, and took hold of a ring on it - though he was terrified - and cried out to God, saying, "O Lord God, Creator of all things, grant to me, a sinful man, that I may be able to pull this ring out of the coffin, if he who has spoken to me three times in a dream lies within here." He drew the iron out of the stone as easily as if it stood in sand, and he marvelled greatly at that. Then he placed it back in the same hole, and pressed it down with his foot, and it was again attached so fast that no one could pull it away. The smith, awestruck, went out and found Eadsige's servant in the marketplace, and told him exactly what Swithun had told him, and asked him earnestly to tell it to Eadsige. The man said he would tell his lord, but he did not dare to tell him straight away. Then after a time he realised that it would not be good for him if he concealed the saint's commands from his lord, so he told him all that Swithun had commanded. Eadsige was angry with Bishop Æthelwold and all the monks in the monastery, because they had driven him out, and he would not heed the saint's commands, although that holy man [Æthelwold] was a kinsman of his. But, within two years, he returned to the monastery and became a monk, through God's grace, and lived there until his death. Blessed is Almighty God, who humbles the proud and exalts the humble to a high place, and corrects the sinful and ever protects the good who hope in him, because he is the Saviour. 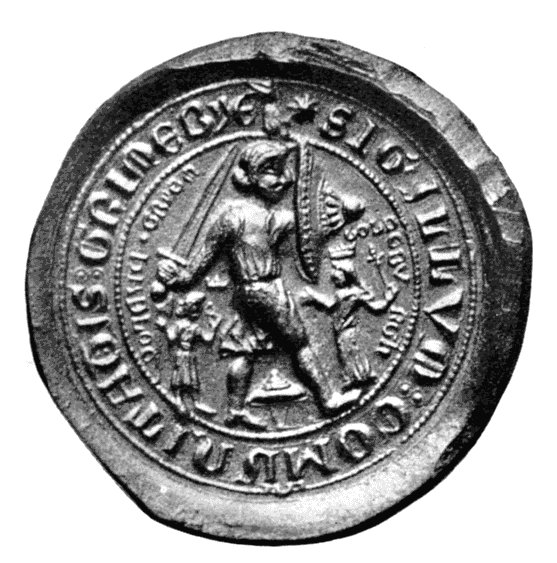 This is a great story - Swithun granting his own sword-in-the-stone moment! After this a number of miraculous cures take place, and Bishop Æthelwold is convinced to follow the command of the vision and bring Swithun inside the cathedral. swa oft swa ænig wan-hal mann wurde gehæled. and nyste butan hi sungon þone lof-sang forð on. þe he mid Swiðune hæfde ða gesewen. 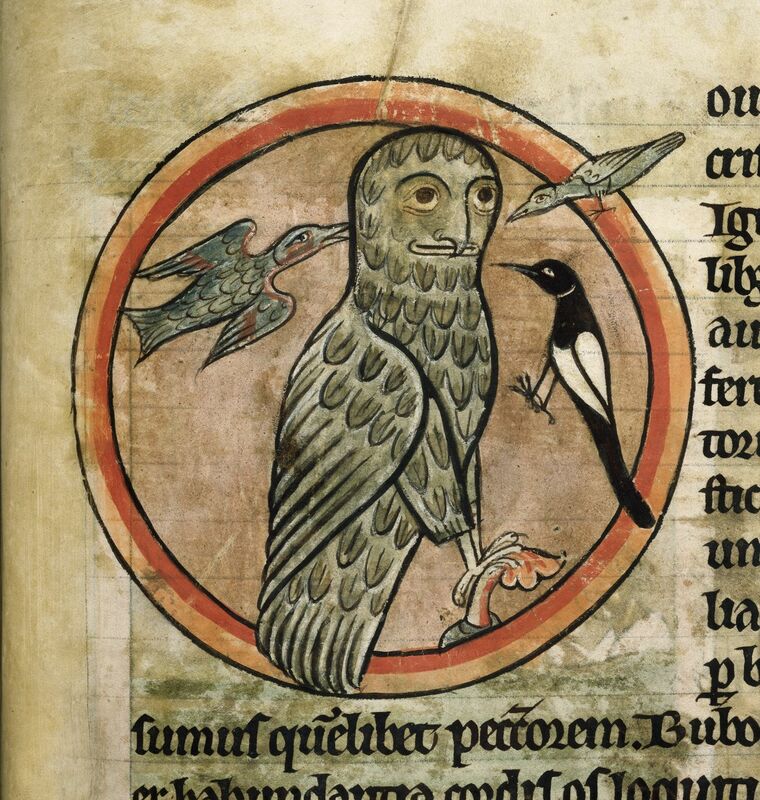 to Æþelwolde bisceope and him eall þis sæde. seofon niht on an swarlice gebetan. and þone sang we sungon unseldon mid heom. Æthelwold, the venerable and blessed bishop, who in those days was Bishop of Winchester, commanded all his monks who lived in the Minster that every time a sick person was healed they should all go in procession to the church, and praise in song the merits of the saint and glorify God because of the saint's holiness. 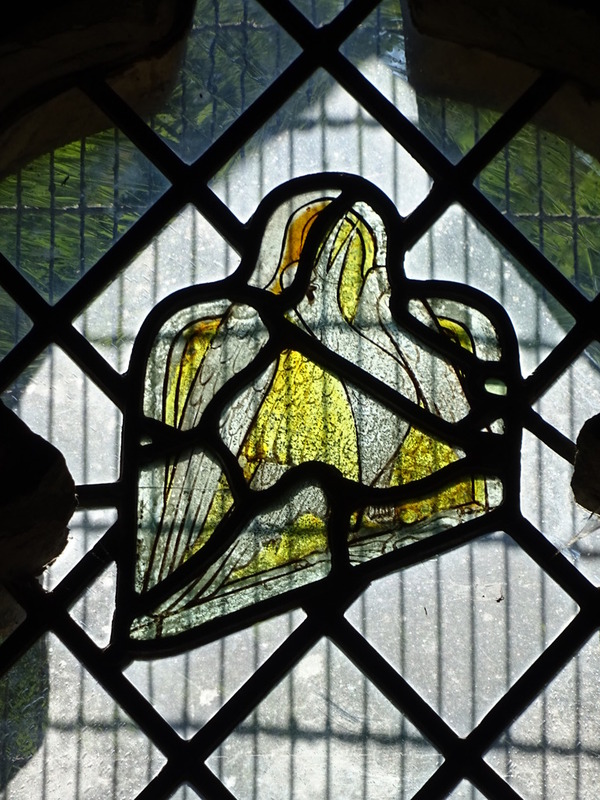 They began to do this straightaway, and sang the song of praise, until it grew tiresome for them to have to get up so often - sometimes three times a night, sometimes four - to sing the Te Deum, when they could have been asleep. At last they all left off singing the hymn, because the bishop was busy with the king, and did not know that they had ceased their custom of singing. 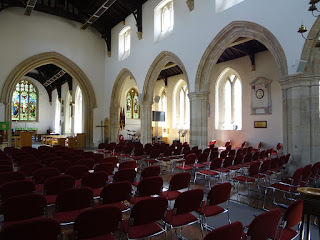 But then St Swithun himself appeared to a certain good man in a dream, richly attired, and said, "Go to the Old Minster, and say to the monks that God is greatly displeased by their grumbling and sloth, that every day they see the miracles of God performed among them, but they do not want to praise the Saviour with hymns as the bishop commanded the brothers to do. Tell them that if they do not sing the hymn, the miracles will soon cease; but if they sing the Te Deum for the miracles, as often as sick people are healed there, then so many wonders will be performed among them that no one alive will be able to remember when any man saw such wonders anywhere." The man woke up from his sweet sleep, and mourned that he could no longer see and enjoy the beautiful light which he had seen accompanying Swithun. Nonetheless he got up and quickly went to Bishop Æthelwold, and told him all this. 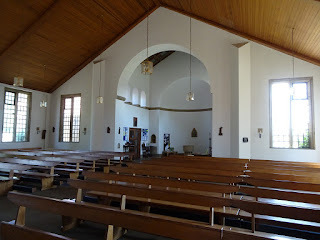 Æthelwold straightaway sent a message from the king's court to the monks, and said that they should sing the Te Deum just as he had set down for them, and that anyone who neglected to do this should heavily atone for it by fasting for seven nights continuously. Afterwards they always kept this custom, as we have very often seen for ourselves - and we have often sung that hymn with them. swa swa Swiþun dyde þe nu scinð þurh wundra. and man ne mihte swa ðeah macian hi healfe up. and hi ealle gebugon to Eadgares wissunge. and swa lange swa we leofodon þær wurdon gelome wundra. þæt geswuteliað þa wundra þe God wyrcð þurh hi. We have now spoken thus briefly of Swithun. 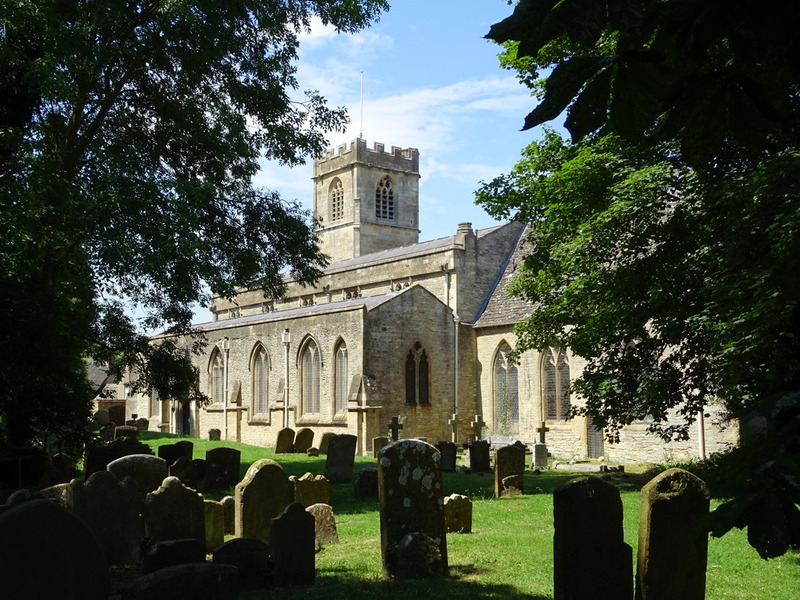 We say, truly, that time was a blessed and happy one in England, when King Edgar fostered Christianity and built many monasteries, and his kingdom ever continued in peace, so that no ship-army was heard of, except that of the people who ruled this land. All the kings of the Welsh and Scots in this island came to Edgar in one day - that was eight kings - and they all submitted themselves to Edgar's rule. And, moreover, many miracles were performed through St Swithun, as we have said, and as long as we have lived frequent wonders have been done in that place. 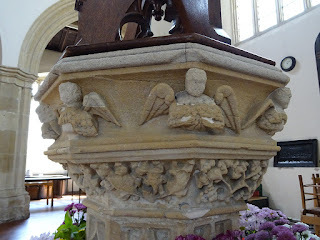 At that time there were worthy bishops, Dunstan the resolute, in the archbishopric, and Æthelwold the venerable, and others like them; Dunstan and Æthelwold were chosen of God, and they, most of all, exhorted men to do God's will, and advanced everything good, to the pleasure of God, as is testified by the miracles which God works through them. 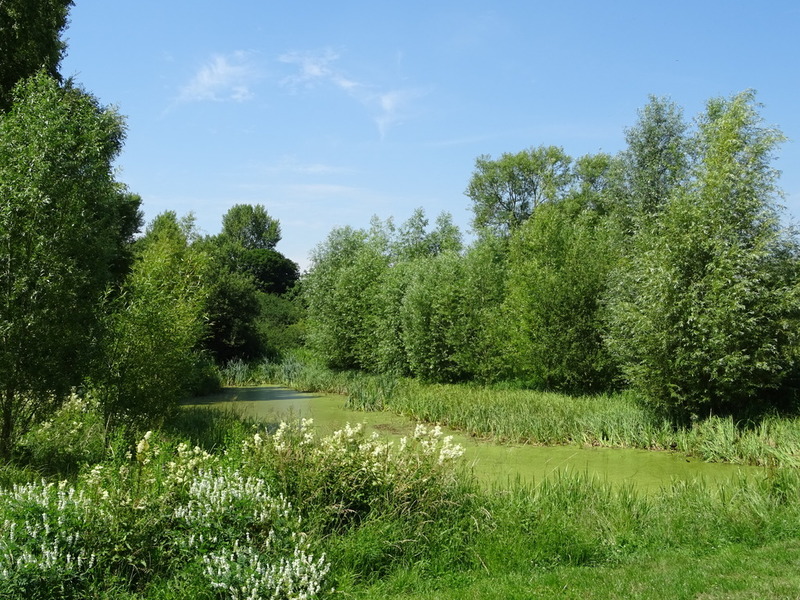 One of the most valued regular contributors to this blog is the prolific Anglo-Saxon monk Ælfric, who lived in the second half of the tenth century. 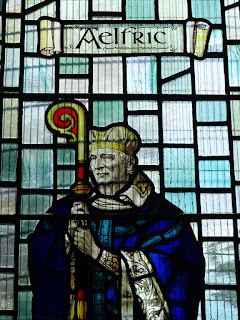 Ælfric is best known for his two great collections of English homilies, which aimed to provide sermons for the whole cycle of the church's year, as well as another large collection of saints' lives - more than 160 homilies in all, which display the full range of his remarkable talents as a communicator. He translates and explains an impressive variety of Biblical extracts, patristic texts, liturgical customs, and historical and theological material of many different kinds. 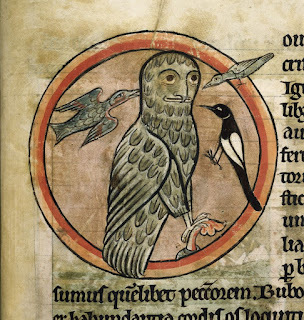 This was an incredibly ambitious project, but it was only one part of Ælfric's extraordinary body of work: he also composed letters of pastoral guidance and instruction on various subjects, and a range of works for use in the monastic classroom, including English 'textbooks' on Latin grammar and science. 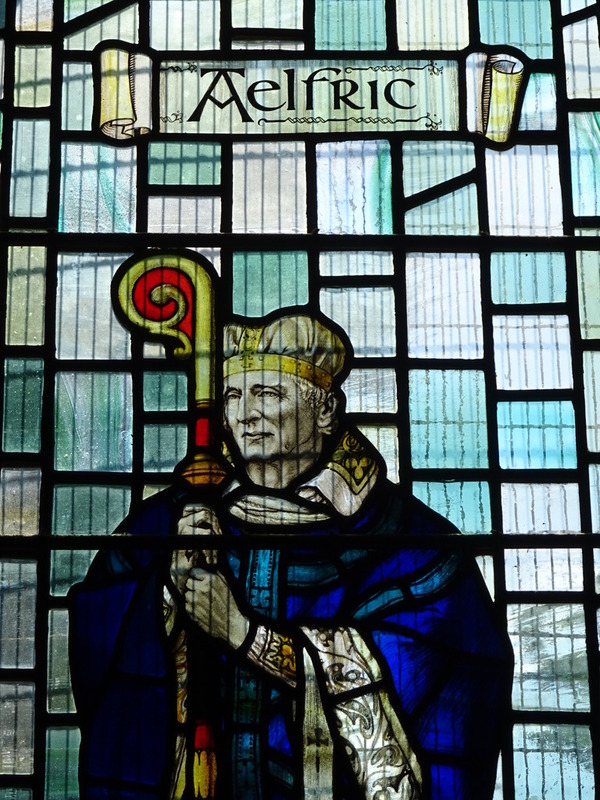 Almost all Ælfric's writing is educational or pastoral in purpose, and he was a teacher to his fingertips, constantly engaged with the question of how best to communicate complex and challenging ideas to his audiences. He was a fluent writer of English prose, and later in his career he developed a beautifully measured blend of prose and alliterative verse which falls melodiously on the ear. His Life of St Edmund is a nice example of that style; I'm also fond of his poetic Christmas homily, and there are lots more in the archives. He was a popular as well as a prolific writer, and his works were still being read and reused as late as the thirteenth century - he had provided an invaluable resource for others to draw on, and while political upheavals in the centuries after his death altered other aspects of Anglo-Saxon literature and culture, the pastoral work of the church for which Ælfric had laboured still went steadily on. 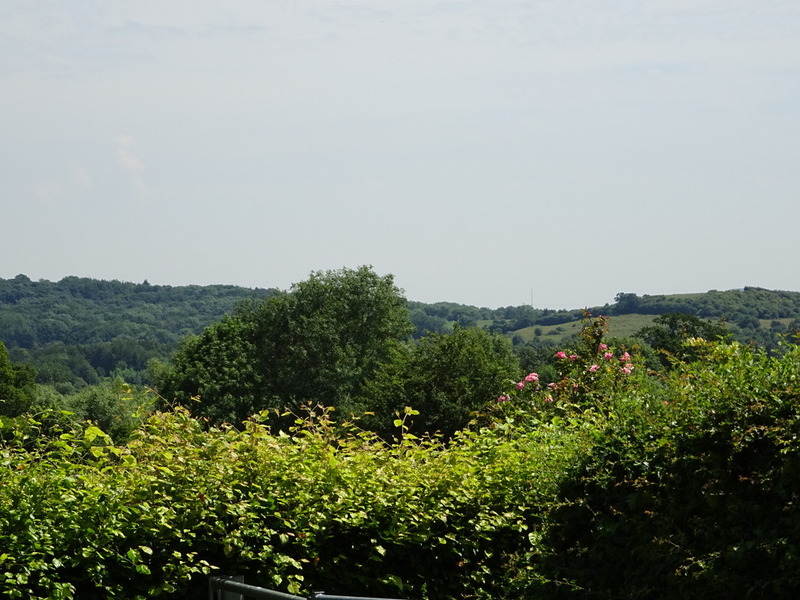 Ælfric was educated at Winchester, under the influential reforming bishop St Æthelwold, and then spent nearly twenty years at Cerne Abbey in Dorset, where he wrote most of his homilies between 987 and 1005. He ended his life as abbot of Eynsham, a village about five miles from Oxford. 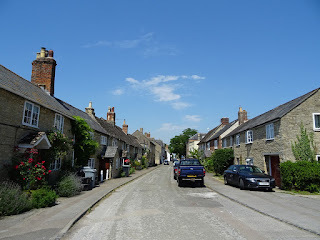 I recently visited Eynsham for the first time, and this post is really an excuse to share some of my pictures from that visit - there's nothing left of Eynsham Abbey, but it's a lovely village, and it's possible to stand on the site where Ælfric's abbey once stood. 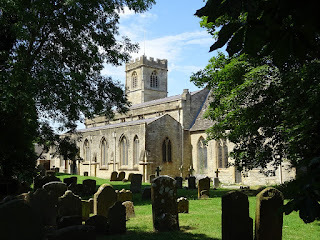 Eynsham was 'Ælfric's abbey' in more ways than one, since it was founded - in a way - for him. He was its first abbot, and it was founded in 1005 by his patron Æthelmær, the head of one of the leading families of Anglo-Saxon England. Æthelmær and his father Æthelweard had supported Ælfric's work for many years, and his collection of Lives of Saints was written for them (you can read the preface addressed to them here). They were a powerful and well-connected family, descended from one of the brothers of Alfred the Great, who were proud of their roots in the royal line of the kings of Wessex and were involved in contemporary politics - as ealdorman of the 'western shires', Æthelweard governed part of the south-west (probably Somerset, Devon and Dorset), and was a counsellor to King Æthelred. Both father and son had sophisticated literary and spiritual interests: Æthelweard was the author of a chronicle in Latin - a remarkable achievement for a layman at this date - and the family's patronage of Ælfric must have been a great help and protection to him. Æthelweard probably died around 998, and a few years later his son Æthelmær founded Eynsham Abbey and installed Ælfric as its abbot. 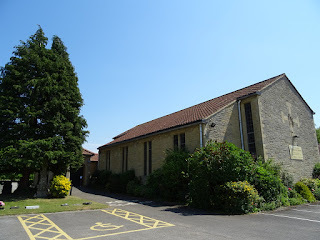 There may have been a monastic community of some kind at Eynsham earlier in the Anglo-Saxon period, but under Ælfric - with his impeccably Benedictine education - it became a Benedictine monastery. 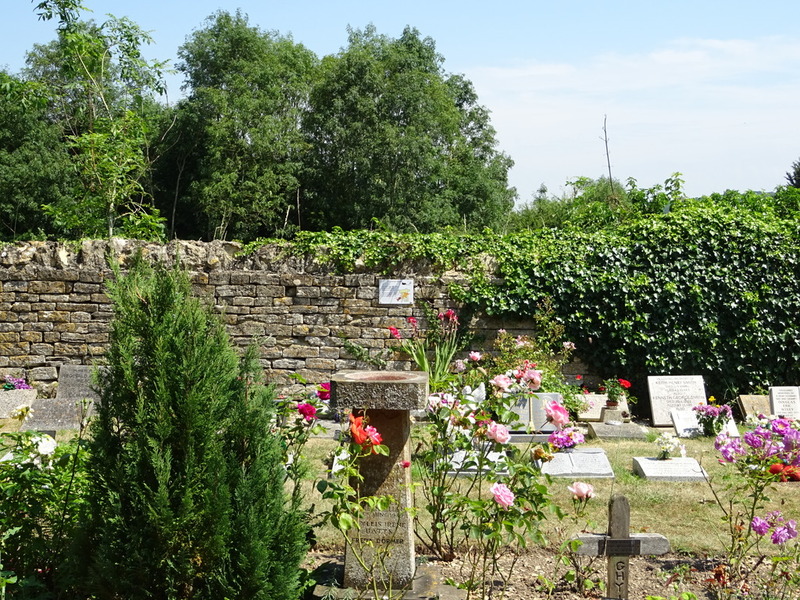 This is a quiet corner of Oxfordshire now, but when the abbey was founded in 1005 England was in turmoil, under near-constant attack from Viking armies, and riven by internal conflict too. Three years earlier there had been a horrific incident just a few miles away in Oxford, when on St Brice's Day 1002, in response to an edict from King Æthelred, a group of Danes living in the city were chased into a church (on the site of what is now Christ Church Cathedral) which their pursuers burned down. In 1005, the Anglo-Saxon Chronicle also records a 'great famine in England, such that no one ever recalled one so terrible before'. The following year a Viking army burned Wallingford - less than twenty miles away from Eynsham - and flaunted their dominance over Wessex all along the Berkshire Downs (I'll tell you that story another day), finishing up by parading their stolen booty past the very walls of Winchester, Ælfric's former home. Æthelmær seems to have founded Eynsham around the time he left Æthelred's court for a few years, perhaps escaping the violent factionalism which reigned there in the early 1000s. (He came out of retirement in 1013, to lead the submission of Wessex to the Danish king Svein Forkbeard.) 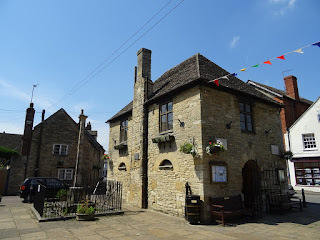 Eynsham was perhaps a kind of retirement post for Ælfric, too; most of his writings were composed in the 990s, so when he came here his life's work was almost all behind him, and he is thought to have died around five years later. But Ælfric was anything but unworldly - though he was 'in the world but not of the world' - and medieval abbots were expected to be practical people, so it can't have been entirely a sinecure. 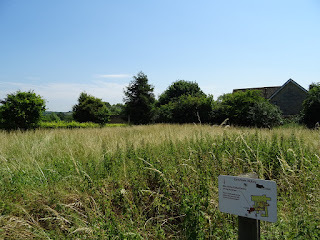 There are plenty of reminders of industrious abbots at Eynsham, dating mostly to the centuries after Ælfric: while the first abbot probably never had the chance to do much here, the village is criss-crossed by signs of later monastic fishponds, building programmes, water engineering - all the practical things which leave marks on a landscape over many centuries of daily life. It's a pretty village of honey stone, quiet and friendly, an oasis between the noisy A40 to the north and to the south the 'warm, green-muffled hills' which separate it from busy Oxford. It feels like another world - a peaceful, pleasant world. 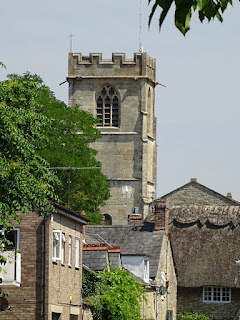 When Ælfric came here a thousand years ago, Oxford was already a town (a burh) but not yet a university city; in him, little Eynsham can claim an older scholarly heritage than its neighbour, the oldest university in England. If you like going in search of medieval abbeys in England you have to use a fair bit of imagination, because most of the time you'll be looking at ruins - or empty space. 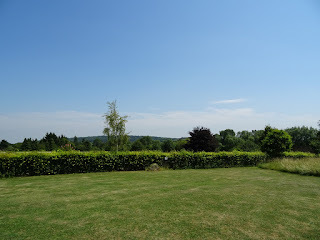 For various reasons, in the past few years I've visited several sites of what were once great abbey complexes, and they all have their own stories to tell about the way later centuries have managed to accommodate the traces of their monastic past. I've been to St Augustine's Abbey in Canterbury, now an English Heritage site with an entrance fee and guidebooks and the footprint of the abbey carefully marked out; Crowland, a dream of a Gothic ruin; Bury St Edmunds, a large and well-kept public park where children play on the graves of the abbots; Abingdon, where the stones of the abbey led by Ælfric's teacher St Æthelwold are rearranged into tasteful Victorian follies; Peterborough, where the town has largely eaten up whatever remained of the monastery; and Reading, where the abbey's former precincts now contain modern skyscrapers more ghostly in their glittering emptiness than any medieval ruin could be. Most of these towns once revolved around their monasteries, and losing them must have been like having their heart ripped out. But places grow back, and build in different ways upon the ruins. 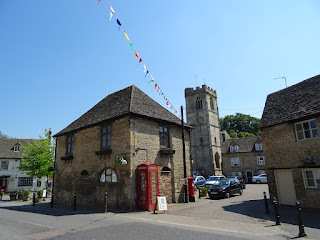 Eynsham was never on the scale of those great monasteries, but what stands on its site now is more appropriate than any of them. 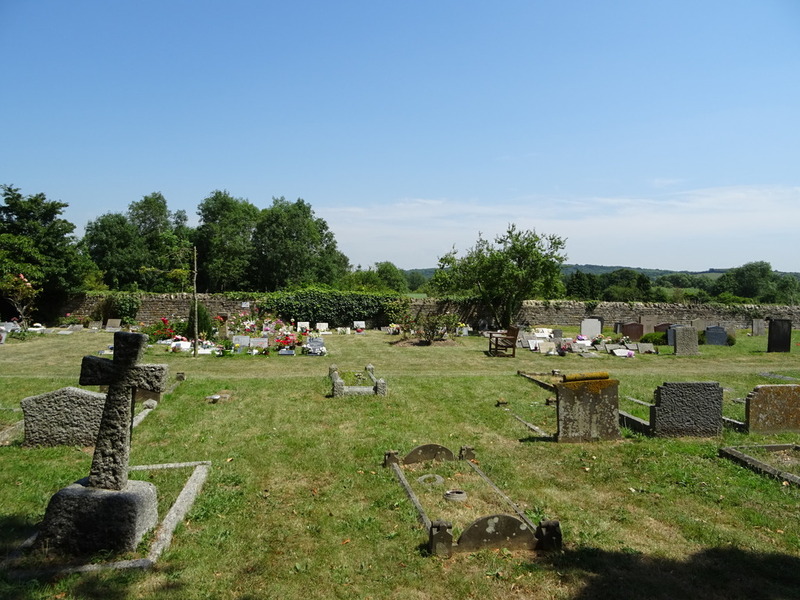 It's a churchyard, of the rambling shadowy rural kind, which lies between the (Anglican) church of St Leonard's on one side and the (Catholic) church of St Peter's on the other. Their two adjoining graveyards cover the space where the abbey church once stood. 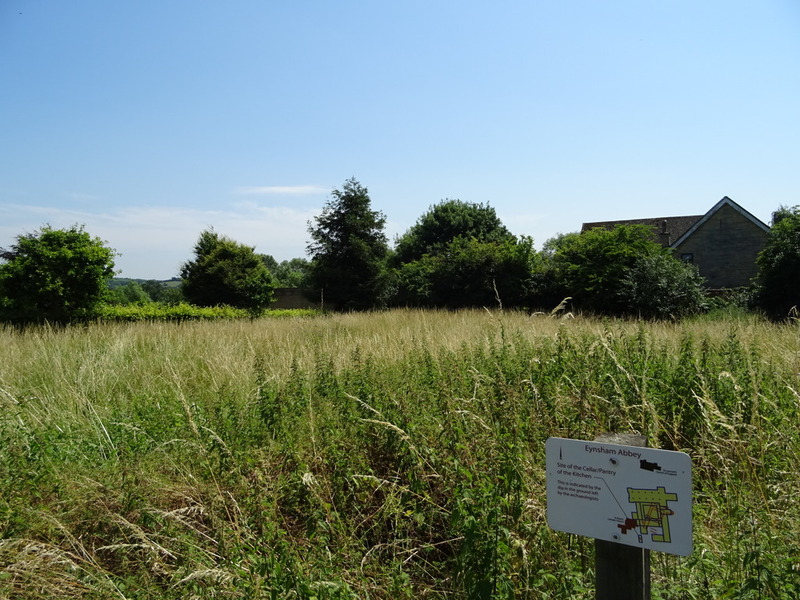 The site has been well investigated, and a neat little collection of signs point out the exact spot of each of the abbey's buildings; if you exercise a bit of imagination you can see church, cloisters, refectory, rising up out of the ground before you. This sign on the wall marks the site of the high altar of the Anglo-Saxon church, and it points out that Ælfric - as the first abbot, entitled to a place of honour in death - was probably buried very close by. I hadn't expected that. 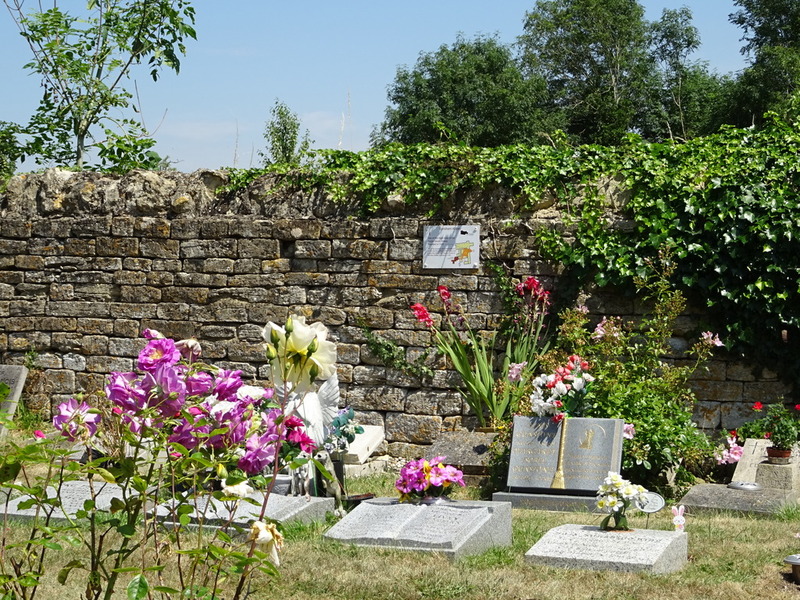 If this is the site of his now-vanished tomb, it's a beautiful one - surrounded by well-tended graves just a few years old, bright with flowers and tokens of love. 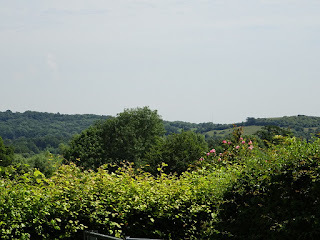 On this July day it was like an informal rose garden, with a view of the green hills beyond, still and quiet except for the occasional shriek of a red kite. A resting-place among Eynsham's parishioners seems fitting for this most pastorally-minded of monks - the shepherd amid his flock. 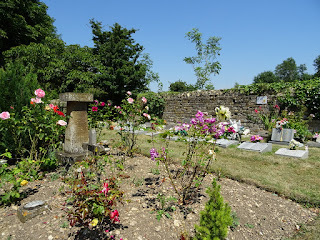 Some remains found during the excavation of the abbey are buried in the Catholic cemetery. The Anglican church, St Leonard's, was (and is) the parish church for the people of the town, and dates to the thirteenth century. The abbey church in its heyday would have been quite a bit larger. 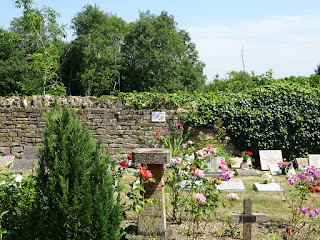 The Catholic church, on the other side of the abbey-now-churchyard, is very different, and has an interesting history of its own which you can read about here. 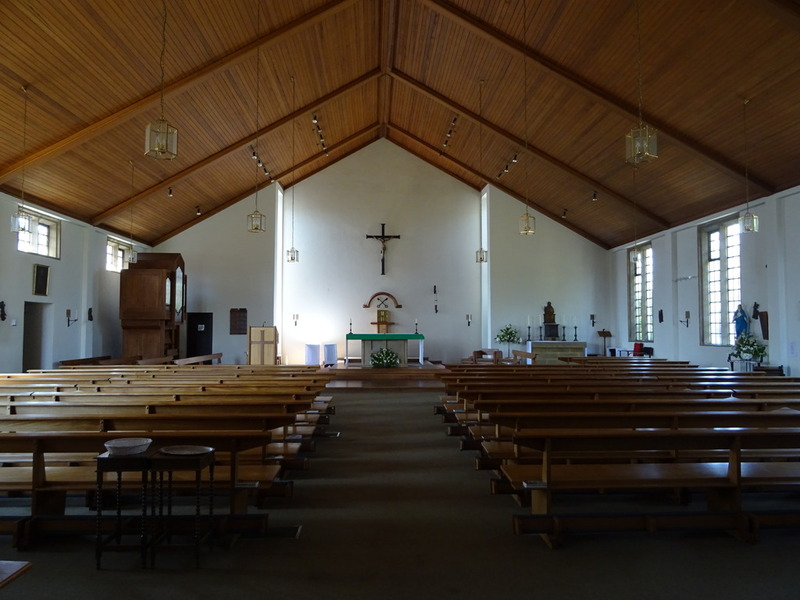 Though plain on the outside, inside it's elegant in its simplicity, and warmly welcoming. 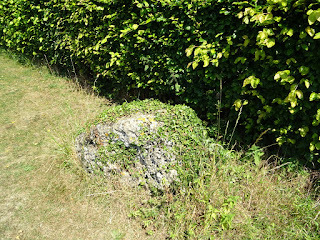 The meadow contains a limestone boulder which was discovered under the foundations of the abbey when they were excavated. 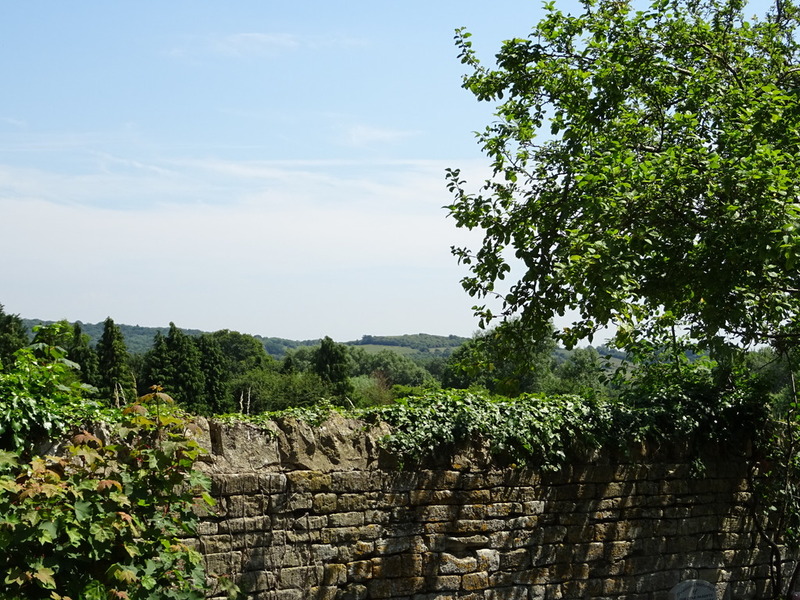 According to the guide, it was in a deep ditch which was dug over 3000 years ago, and 'the archaeologists think that the builders of the abbey decided to incorporate the stone into the wall foundations rather than move it'. 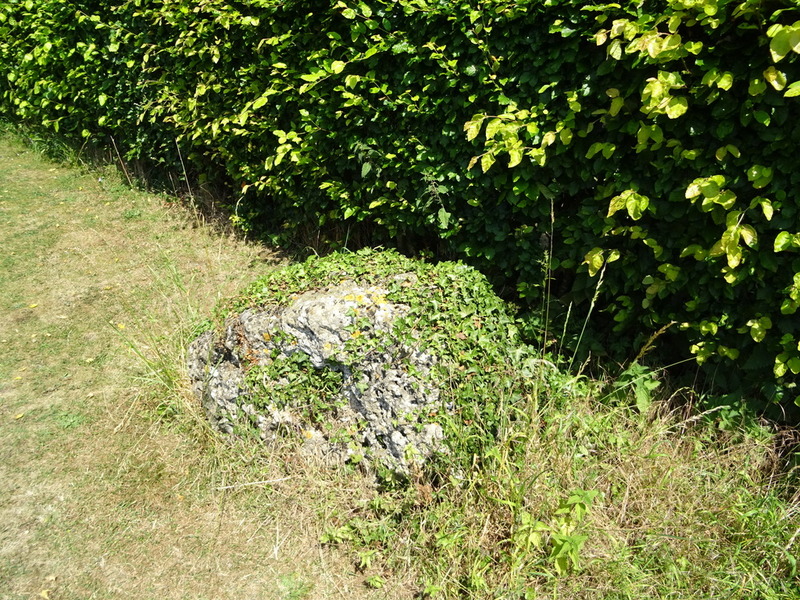 It's a solid reminder of the ancientness of this site - Ælfric, living here a thousand years ago, is closer to us than he was to the people who dug the ditch where this stone lay. And the hills are older still, of course, and he would have seen them. 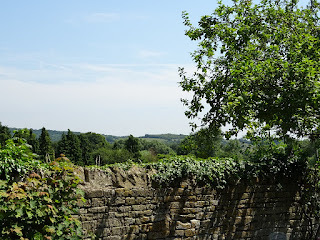 After inspecting the site of the abbey church, it's possible to walk the perimeter of the medieval abbey - boundaries change slowly in the English countryside, and the modern roads still follow the lines of their medieval predecessors. It's the kind of place where the guide says 'the main road was diverted west in 1217 to expand the abbey precincts', and there the road still is, as if 1217 was really just the other day. 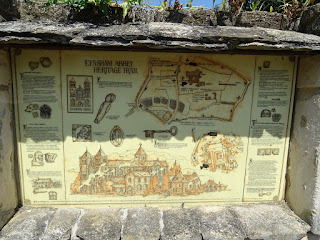 Another set of useful signs trace the path to the south of the village, around the sweep of the abbey's fishponds. This was the grand plan of a thirteenth-century abbot, and the land has hardly been touched since the abbey was destroyed; it's now an extensive green meadow, with weeds and waterfowl, still watery after eight centuries. I do like a good heritage trail, and this is a very good one - a kind of secular Stations of the Cross, or Rogation procession of the kind Ælfric preached about. Part of the idea of a Rogationtide procession is that by walking the borders of your community you come to know it better, to feel its shape, and to remember what (and who) falls within its bounds. That has a practical and a spiritual function, at one and the same time. 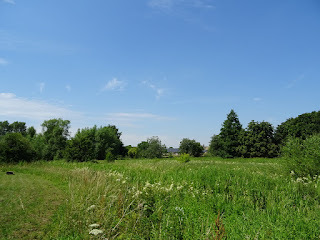 I wonder if Ælfric took a Rogation procession out into the fields the first spring he was at Eynsham, as he got to know the lands and souls entrusted to his care. 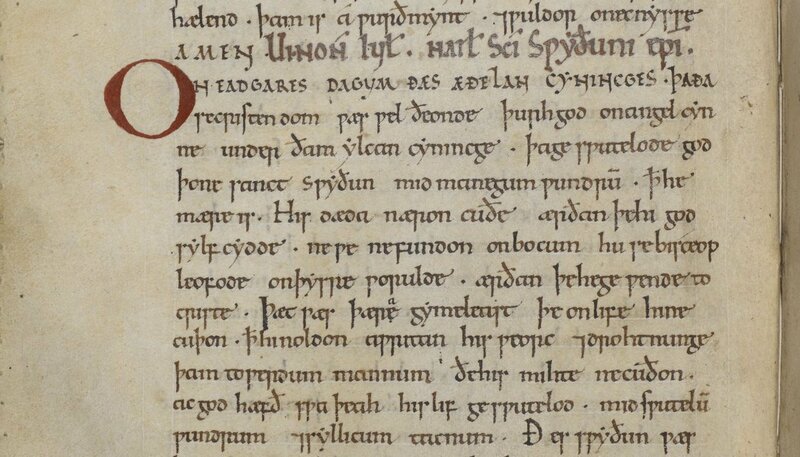 We writað fela wundra on þissere bec, for þan þe God is wundorlic on his halgum, swa swa we ær sædon, and his halgena wundra wurðiað hine, for þan þe he worhte þa wundra þurh hi. 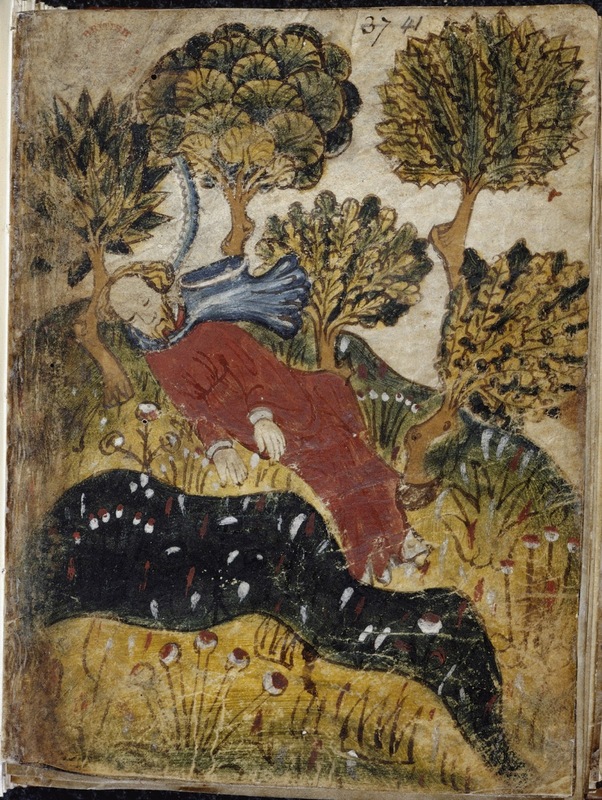 An woruldcynincg hæfð fela þegna and mislice wicneras; he ne mæg beon wurðful cynincg buton he hæbbe þa geþincðe þe him gebyriað, and swylce þeningmen þe þeawfæstnysse him gebeodon. 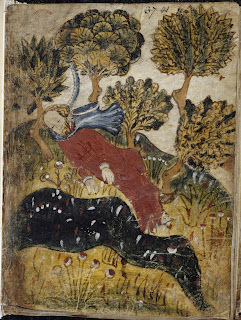 Swa is eac þam ælmihtigan Gode þe ealle þincg gesceop: him gerisð þæt he hæbbe halige þenas, þe his willan gefyllað, and þæra is fela on mannum anum, þe he of middanearde geceas, þæt nan bocere ne mæg, þeah þe mycel cunne, heora naman awriten, for þan þe hit nat nan man. Hi synd ungeryme swa swa hit gerisð Gode; ac we woldon gesettan be sumum þas boc mannum to getrymminge and to munde us sylfum, þæt hi us þingion to þam ælmihtigan Gode swa swa we on worulde heora wundra cyðað. The metaphor of the saints as God's 'thegns' is obviously one chosen to suit Ælfric's audience: Æthelweard and Æthelmær knew very well that 'an earthly king has many thegns and various officers', since they had fulfilled such a role themselves. The king's court was as apt a metaphor for them as it was for Alfred the Great when he used it in a text all three may have been familiar with, talking about how everyone at the king's court - from the highest to the lowest, from the royal chamber to the jail-cell - is in some sense in the presence of the king, just as everyone in the world is to some degree in the presence of divine wisdom, though some may be closer and others further away. There is a suggestion of that diversity here too in the reference to the mislice 'diverse, various' kinds of servants who serve God, and it's a theme Ælfric develops at greater length in his sermon for All Saints' Day - there are many different kinds of saints, who by their different lives and deaths bring glory to God. He sylð his gife ðam ðe he wile. Sumum men he forgifð wisdom and spræce, sumum god ingehyd, sumum micelne geleafan, sumum mihte to gehælenne untruman, sumum witegunge, sumum toscead godra gasta and yfelra; sumum he forgifð mislice gereord, sumum gereccednysse mislicra spræca. Ealle ðas ðing deð se Halga Gast, todælende æghwilcum be ðam ðe him gewyrð; forðam ðe he is Ælmihtig Wyrhta, and swa hraðe swa he þæs mannes mod onliht, he hit awent fram yfele to gode. godbearn on grundum, his giefe bryttað. God's Son on earth, gives to us his gifts. I love these catalogues of skills. They are celebratory and generous, finding something to praise in gifts of many different kinds, and valuing them all. All require skill and labour, all are important to society, all have a beauty of their own. In this context it's an explicitly Christian viewpoint, but a distinctively Anglo-Saxon one too - fitting for a culture for whom Weland the Smith was a hero. I can't really imagine what a modern version of this poem would look like ('One can phrase snarky Tweets so they fit within 140 characters...'); we just don't value craft in the same way, and our hierarchy of skills is quite a bit more rigid. Within this view of the world, all gifts can be not only valuable in themselves, but a service to others and to God. 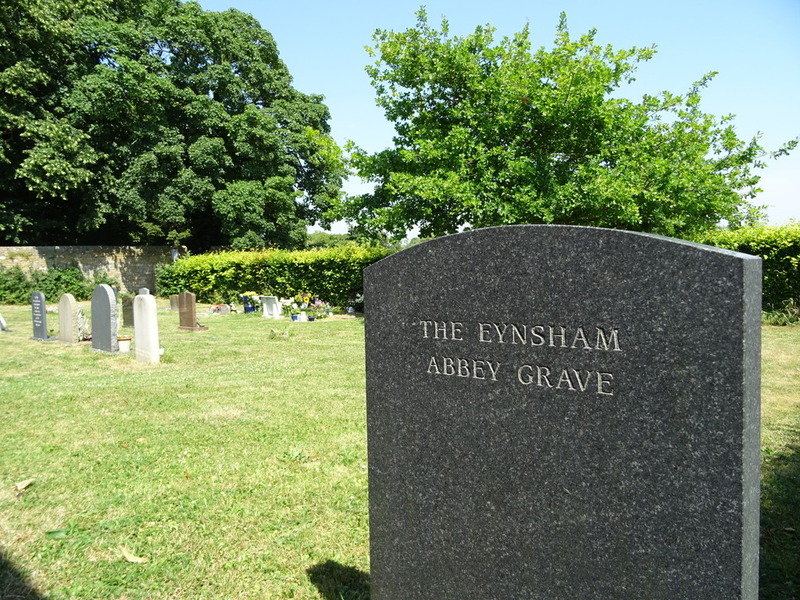 Eynsham made me think of that. Æthelweard and Æthelmær had practical gifts of their own ('wise speech', they must have hoped, whether Æthelred listened to them or not) and they nurtured Ælfric's gifts as a writer and teacher, and Ælfric in his turn spent his life sharing those gifts with the world. Think of all the skills, too, which built and maintained an abbey like Eynsham - the labourers and craftsmen, the abbot with his fishponds, the cooks in the kitchen which is now Tolkien Meadow. Building and running a community takes so much dedicated labour - just read this touching history of Eynsham's Catholic church and see all the years of work which went into getting that church built, and all the very different but clearly much-loved parish priests whose diverse gifts are affectionately remembered by their parishioners. Such work is rarely celebrated and is often lost to history, because it's not dramatic or self-aggrandising - it's incremental, collaborative, self-giving, and it does an unfathomable amount of good. 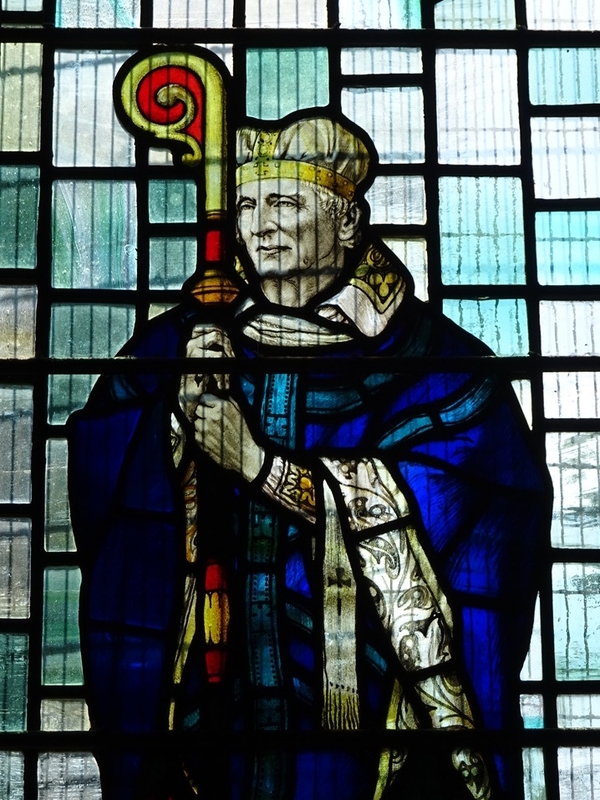 Today is the summer feast of St Thomas Becket - the feast of his translation, which took place on 7 July 1220. 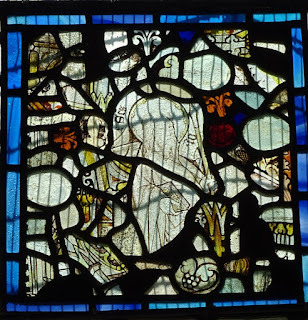 On that day (in the fiftieth year after his murder in 1170, a carefully chosen date), his relics were moved into a splendid new shrine in Canterbury Cathedral, where for three centuries they remained the destination of many pilgrims' journeys. It seems that in the days when Canterbury was a great centre for pilgrimage, its inhabitants grew so rich and sinful that the Devil reckoned he would be justified in carrying the whole town off to Hell. On the other hand, so long as prayers were being said at the shrine of Thomas Becket he did not dare go near the place. Eventually, one night the cathedral priests were too tired to keep vigil round the shrine, so the Devil swooped down, seized a large number of houses, and dropped them into the sea off the north coast of Kent. He then returned for a second armful, which he treated in the same way. But then St Thomas himself roused the Sacristan in a vision, urging him to ring Great Harry, the largest of the cathedral bells. This he did (the bell miraculously becoming so light that one man alone could move it), and the sound frightened the Devil into dropping his third armful of houses on the coast. Those whose inhabitants were more good than bad formed the town now called Whitstable, but the homes of the wicked fell into the sea just offshore and can still be seen there underwater. The other part of the inspiration for this story is probably the fact that the north Kent coast, where Whitstable lies, is prone to erosion, and the remains of drowned villages can indeed be seen out at sea. In 1907, when this story was recorded, the lost village of Hampton-on-Sea, between Whitstable and Herne Bay, was in the process of being rapidly swallowed up by the sea - though what can be seen there are not the wrecked homes of the wicked inhabitants of medieval Canterbury, but an ill-fated attempt to develop the local oyster industry. A little further down the coast are the remains of another drowned settlement, in this case one which goes back thousands of years. 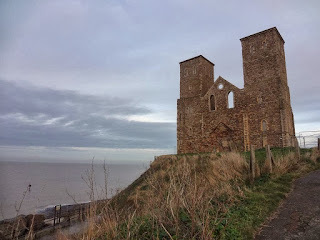 The towers above are the ruins of the medieval church of Reculver, which was the site of a Roman fort, and then by the seventh century a royal estate belonging to the kings of Kent. An abbey was founded there in 669, where some of the early Christian Kentish kings were buried. By the later Middle Ages it was a thriving town, but already losing a battle with the encroaching sea. 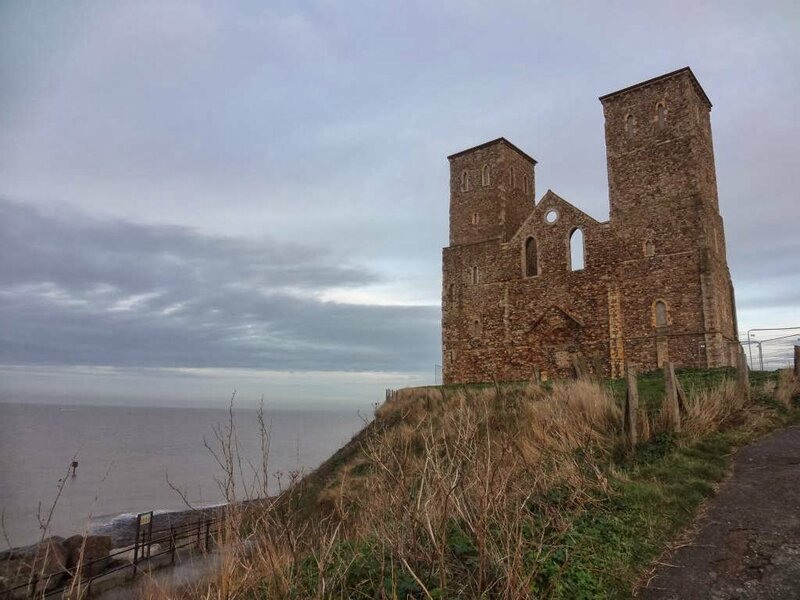 The town dwindled to a village, and at the beginning of the nineteenth century the church had to be pulled down - only these towers remain, standing on a shore which is still being eaten away beneath them. Out at sea, somewhere, are the remains of the Roman fort and the medieval town. 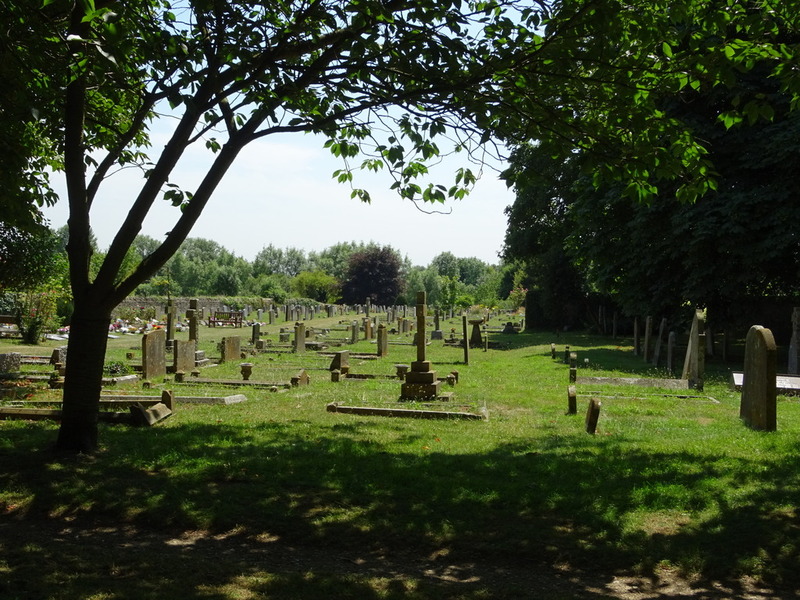 It's a faintly spooky place, at the end of a long and narrow road which leads here and nowhere else; persistent local legends tell stories of ghostly Roman soldiers on patrol, or the cries of unseen babies heard among the ruins. 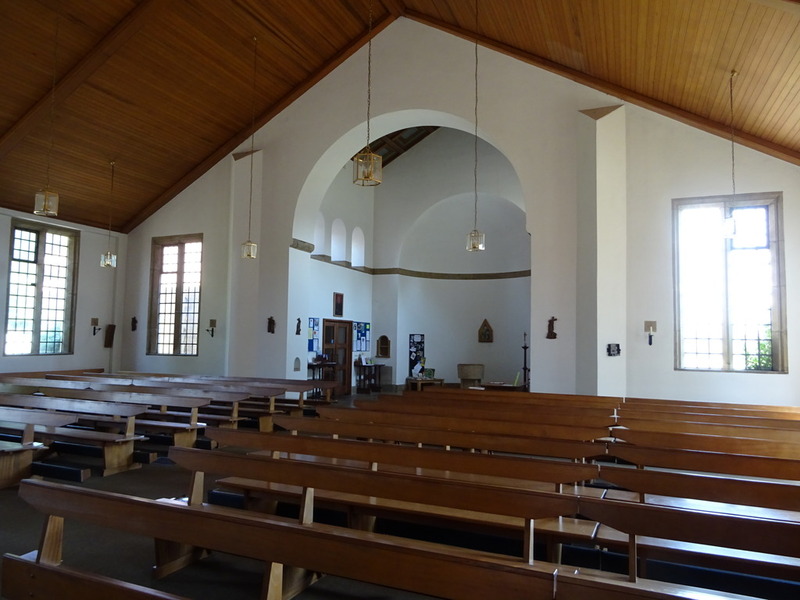 The church bell doesn't sound beneath the waves; instead, Reculver's bell now hangs in the sweet little church at Badlesmere. 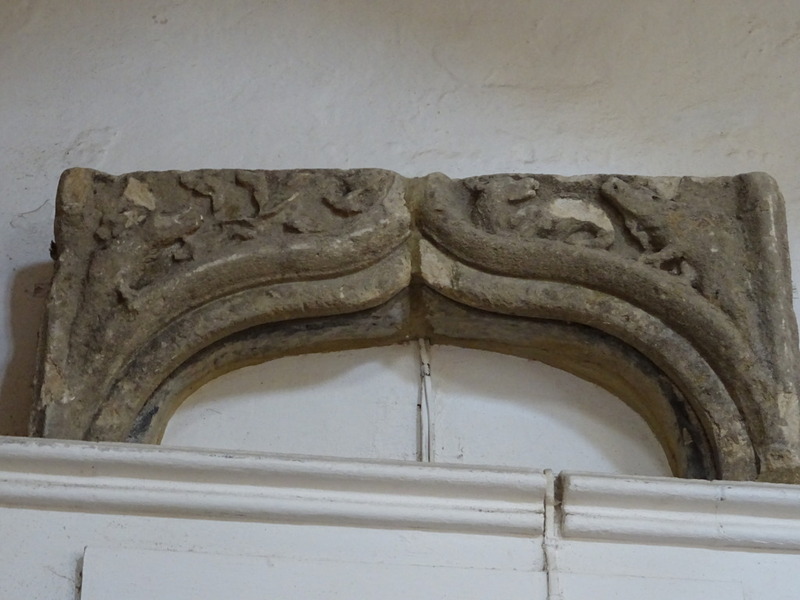 Two columns from the original church - said to date from the 670s - were left for a while in an orchard, but were eventually rescued and translated to the crypt of Canterbury Cathedral. They don't hold anything up, but stand stranded near the place where Thomas Becket's body lay in the years between his death in 1170 and his own translation on this day in 1220. 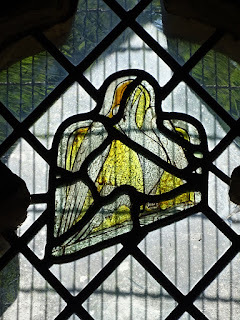 They are a relic of a church five years hundred years older than Becket - and they bring us full circle. London has dominated cultural life in Britain for centuries, for so long that it is almost assumed to be a natural state of affairs. But at a time when the relationship between regional and national identity seems especially fraught, it is interesting to think about how different things have sometimes been – and here the medieval period offers some useful contrasts. One of the things students coming new to medieval history and literature often find surprising and rewarding is the distinctively regional character of much of the source material. It was only towards the end of the Middle Ages that London emerged as a dominant cultural centre; before that, the earlier medieval period offers a rich and complex picture of regions with their own particular interests and strengths. At various points in the Anglo-Saxon period, we can catch glimpses of different regions at the height of their wealth, power, and artistic and literary creativity: Bede’s Northumbria, the Mercia of the dazzling Staffordshire Hoard, or Alfred the Great’s Wessex, which fostered new kinds of historical and philosophical writing in English. These Anglo-Saxon regions were, of course, kingdoms in their own right. But there are plenty of examples, too, from the centuries which followed, even once these regions became part of one nation. Think of the poem Sir Gawain and the Green Knight, written in the 14th century in the north-west Midlands, which imagines its Arthurian hero journeying through a stark but beautiful wintery landscape that is recognisably medieval Cheshire. This poem’s finely wrought literary language, studded with dialect words, would have been unpalatable (perhaps even incomprehensible) to many contemporary audiences in the south, but for the poet and his readers it must have been a powerful evocation of a landscape and language they knew intimately. This is a bigger topic than one can really tackle in a 750-word piece, and I know I've conflated a few different issues here. I should probably apologise for focusing only on English literature; obviously talking about regional identity in modern Britain includes Scotland, Wales and Northern Ireland too, which had brilliantly flourishing cultures of their own in the Middle Ages, but of course it isn't quite right to call these countries 'regions' of Britain in the medieval period, and I was too clumsy to find a way of reconciling that without offending someone or other. Apologies. All I really wanted to say is how refreshing the regional character of medieval literature can be, compared to the modern media's London-focused perspective. 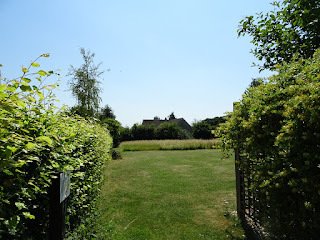 It's especially lovely in teaching Middle English literature to see a group of students from across the country learning about the literary heritage of places (sometimes their own homes) which they have often grown up thinking were pretty much 'culture-free'. 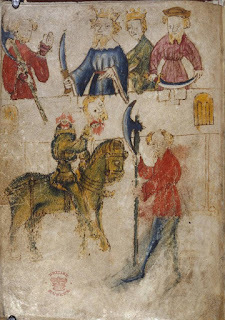 Whether it's the West Midlands of Sir Gawain and the Green Knight, or the romances of heroes from Warwick, Grimsby, or Southampton, or the cultural hub of late-medieval Norfolk, with its dynamic culture of religious art and drama - it's a pleasure to visit these places through their literature, to taste and savour their particular character. The culture of medieval London was important too, of course, but all these places (and many more) have their stories to tell: they matter. 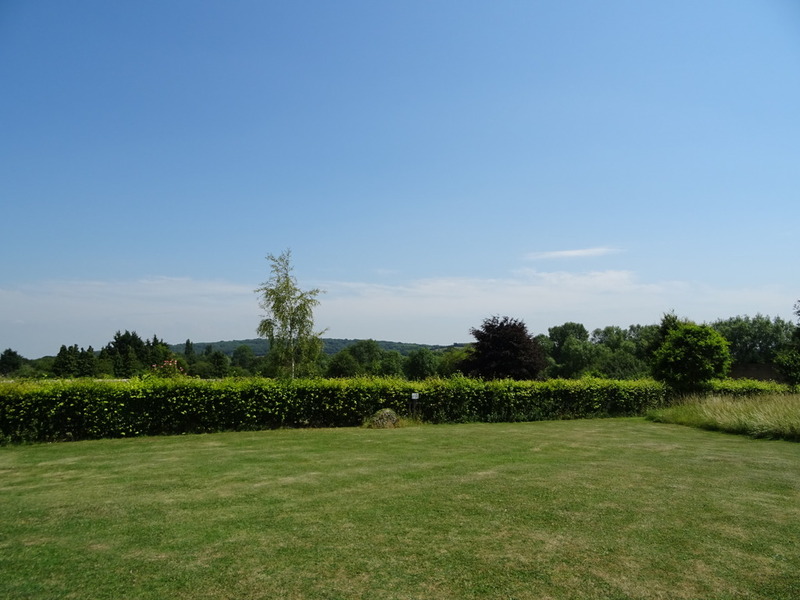 A writer like Julian of Norwich is simultaneously a world-class thinker and a product of her specific time and place; another city than Norwich, even in the same century, would have formed her very differently. This is a continuation of something I've written about before on this blog, especially in two posts from the summer of 2015: this one, about how pre-modern history and literature help us to think about shifting geographies of power (to remember there was a world before Westminster, and will be a world after), and this one, in which I talked about how my feelings towards the place I grew up - Thanet, in East Kent - influenced and are influenced by my academic research. I don't claim either discussion is especially original, but I suppose both stem from that same sense that the places we inhabit aren't interchangeable. They shape us as we shape them, and their differences, their distinctiveness, and their unique qualities deserve to be noticed and celebrated and loved. A centralised media tends to impose uniformity and conformity, believing without question that everyone thinks and should think in one particular way - but the world's just so much more interesting than that. I'm being cautious because the kind of attitude I expressed above (and strongly in my post on Thanet) has taken on political overtones in the past few years - it's become associated with the concept of Somewheres/Anywheres, the revolt against the elites, etc., though in fact it goes much deeper than politics. The politicisation of what is actually, I think, a fundamental difference in personality and instinct (often correlating with, but not limited to, particular social backgrounds) is part of what makes political discourse at the moment so toxic. When the personal becomes political, how can people help taking it personally? As a result we find ourselves in a situation where public debate of every kind has become poisonous, and there's no point trying to express a view that can't be yelled over a loudspeaker. So I want to emphasise that this is not a political post, though I'm sure some of the permanently-outraged on both 'sides' will read it that way. I'm thinking more about the question of whose stories are told, whose perceptions and experiences are listened to and respected - a cultural disconnect that goes beyond politics. It is said that once upon a time St. Kevin was kneeling with his arms stretched out in the form of a cross in Glendalough, a monastic site not too far from where we lived in Co. Wicklow, a place which to this day is one of the most wooded and watery retreats in the whole of the country. Anyhow, as Kevin knelt and prayed, a blackbird mistook his outstretched hand for some kind of roost and swooped down upon it, laid a clutch of eggs in it and proceeded to nest in it as if it were the branch of a tree. Then, overcome with pity and constrained by his faith to love the life in all creatures great and small, Kevin stayed immobile for hours and days and nights and weeks, holding out his hand until the eggs hatched and the fledglings grew wings, true to life if subversive of common sense, at the intersection of natural process and the glimpsed ideal, at one and the same time a signpost and a reminder. Manifesting that order of poetry where we can at last grow up to that which we stored up as we grew. St. Kevin's story is, as I say, a story out of Ireland. But it strikes me that it could equally well come out of India or Africa or the Arctic or the Americas. By which I do not mean merely to consign it to a typology of folktales, or to dispute its value by questioning its culture bound status within a multi-cultural context. On the contrary, its trustworthiness and its travel-worthiness have to do with its local setting... 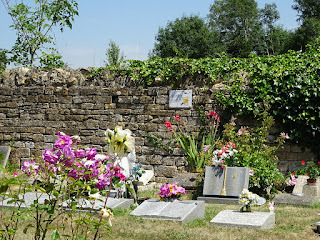 I hope I am not being sentimental or simply fetishizing - as we have learnt to say - the local. I wish instead to suggest that images and stories of the kind I am invoking here do function as bearers of value. The century has witnessed the defeat of Nazism by force of arms; but the erosion of the Soviet regimes was caused, among other things, by the sheer persistence, beneath the imposed ideological conformity, of cultural values and psychic resistances of a kind that these stories and images enshrine. Even if we have learned to be rightly and deeply fearful of elevating the cultural forms and conservatisms of any nation into normative and exclusivist systems, even if we have terrible proof that pride in an ethnic and religious heritage can quickly degrade into the fascistic, our vigilance on that score should not displace our love and trust in the good of the indigenous per se. On the contrary, a trust in the staying power and travel-worthiness of such good should encourage us to credit the possibility of a world where respect for the validity of every tradition will issue in the creation and maintenance of a salubrious political space. Do read the whole thing (it's from 1995). This is very much what I'm trying to say when I talk about loving the local and the specific (if I'd read this before I wrote my column I might have expressed it better!) - a kind of love which involves 'respect for the validity of every tradition', including whatever one considers to be one's own. It would be nice to think that there was space for this kind of diversity in our public discourse - a diversity which is not just cosmetic, but which allows room for a range of experiences, priorities, and beliefs. It must be possible, you would think, to have a society where people can differ without demonising each other, where we can acknowledge the simple truth that our different life experiences form us each in different ways, and accept that there are many subjects over which well-meaning people can civilly disagree. That is not, however, what we have at the moment. When I read that phrase 'a salubrious political space', I'm afraid I thought immediately of the polar opposite, which right now is Twitter. In theory, social media could have done a great deal to ameliorate the centralising, homogenising effect of the traditional mass media, by giving space to a range of different voices. In effect, of course, it does almost exactly the opposite. I've always kind of hated Twitter, even when I was an evangelist for it as a form of academic outreach; it's basically impossible to spend time on Twitter and not believe in original sin, because nothing else could explain how a medium which is just people talking to each other could become so vile. I think what I dislike most about it, though, is the waste of potential - something which could allow space for a limitless diversity of viewpoints actually becomes a place where people willingly enforce conformity on each other. They do so in the most blunt-force kind of way, by the simple method of shouting down anyone who doesn't agree. On Twitter, everyone must think the same, tell the same jokes, read the same things, have the same opinions - or else. It's tiring. The way it's set up means anyone runs the risk of being randomly attacked at any time, but it's not even the disgusting trolls who wear you down, or the people who don't bother to read to the end of a tweet before deciding to 'correct' you, or the ones who think they have the right to dictate what complete strangers tweet about (even the senior male academics who take it upon themselves to police what other academics are allowed to write about in public) - it's the constant barrage of negativity. There's always someone waiting to pounce. Since starting to use Twitter a few years ago, I've tried to be very disciplined about what I post, and all I've ever done is share things I liked and found interesting. History, poetry, words, pictures, folklore, whatever - I shared it only and entirely because I found it interesting. As with my blog, I didn't particularly expect anyone else to like it; I know my tastes are a bit odd, and I'm very used to being in the minority. (You should see the stuff I don't blog about!) I didn't insist anyone else had to like it or care about what I was interested in - I didn't force it on anyone, and if people weren't drawn to it, they could simply ignore me. I just like sharing things I like; I don't think it really does any harm, and sometimes it can do a bit of good. I was never deliberately inflammatory and only very rarely political. Yet however innocuous the topic, there would always be people ready to attack. Someone would jump in to criticise or sneer, to tell me I was wrong or stupid for finding it interesting, that I liked it for the wrong reasons, or whatever. That's just childish - the dynamics of the playground, where bullies wait to knock books out of the hands of the nerdy kids. The loudest voices on Twitter want to demonstrate that they're cooler and cleverer and more sophisticated than the rest of us, and that they control what other people are allowed to be interested in, so they pile on people who are interested in the 'wrong' things. And it's not even just liking the wrong things - it's as if liking, praising or celebrating anything is itself not allowed. The negative is always to be preferred to the positive, the critical to the complimentary; I suspect they think it's a mark of intelligence and sophistication to be constantly, relentlessly, blindly critical. Believe me when I tell you that I'm not the most positive person in the world, and yet I find something utterly horrible about this determination to emphasise the worst in everything, to actively seek out things and people to hate, and to abuse anyone who tries to share something they find meaningful or valuable. There's something I really dislike about telling people what they ought to be interested in; I like the fact that different people are interested in different things, and I wouldn't want a world where everyone had the same tastes and priorities as me. (Is that really such a shocking, controversial thing to say?) There are lots of topics in the world I don't find particularly interesting, but it charms me that other people can be passionate and knowledgeable and enthusiastic about them. I can't imagine sneering at someone for what they take a harmless interest in, especially when they're not forcing it on me. That kind of conformity is frustrating, deadening - just boring. Imagine how much worse it would have been if I had ever posted anything really political or controversial. There's no such thing as 'agree to disagree' on Twitter; everyone assumes the worst of each other, and all must conform. And so Twitter becomes less like the tweeting of happy birds (or St Kevin's nesting blackbird) and more like being mobbed by a horde of screeching 'small fowls'. This shouldn't really matter - despite what people on Twitter think, there is in fact an entire world out there to whom Twitter means nothing, and it's a much nicer place to spend my time. But it does matter, because Twitter (more so than Facebook or other social networks) is where cultural opinion-formers cluster and formulate their rules on what one is allowed to care about or be interested in, as well as the main place where they seem to gain their impression of 'the public'. So the result is that social media does as much as mass media ever did to crush the expression of a healthy range of opinion, even as it exposes deep rifts in what people think and believe. There is no such thing as cordial disagreement. The loudest voices, from across the political spectrum, are the ones who don't make a distinction between telling people what they think and telling others what they should think, and their dominance of public discourse means that a greater diversity of experiences and voices becomes impossible - those who disagree are simply bullied into silence. But we need to hear other voices. Those who dominate Twitter are loud, but they're not well-informed; there are huge gaps in their knowledge, put out on public display for all the world to see. Not that ignorance seems to dent their self-belief - nothing, it seems, can do that! It's reached almost comical proportions in the past few weeks. Twelve hours after calling an election totally and completely wrong, they were confidently telling us that no, it's OK, they know exactly why the outcome happened, and everyone else should have known too. Next, after five minutes with a wikipedia page on Northern Irish politics, they were suddenly experts on what everyone should think about it, with not one moment of self-doubt that they might be oversimplifying a complex cultural and religious situation they obviously find utterly alien. It would be funny if it wasn't distasteful, if it wasn't all so obviously scrambled together and ill-thought-through, and didn't involve so much sneering condescension towards other people's lives. There's never any visible attempt to listen to others or to try to empathise with anyone whose experiences might have been different from their own - barely ever a flicker of 'oh, maybe I was wrong...' before the next round of hot-takery sets in. Their job is to talk, not to listen, and they loudly insist that no one else does any listening or reflecting either. Twitter allows us to watch after every news event as within the space of a few hours they follow the predictable cycle from complete ignorance to immediate, immoderate outrage. There simply isn't time for considered, thoughtful analysis; there's only the present moment and its rage. It's hard not to be troubled by the kneejerk anger, the constant cycle of snap judgement and consequent misunderstanding which consumes all the loudest voices on Twitter, day after day after day. (Where do they get the energy?) But worrying too is that conformist determination that no one must like what they don't like, or find anything interesting outside of a very narrow cultural sphere. It's striking how limited their knowledge of culture and history is, and how lacking in any sense of perspective or context. The frame of cultural reference is based mostly on what happens to be on television - last year everything was a Game of Thrones analogy, this year it's all The Handmaid's Tale. 'Everyone' (the media's idea of 'everyone') reads the same books, watches the same TV shows, listens to the same music, and pronounces on how hugely important and influential it is. That's just fashion, of course, but it's how they decide who counts in their 'everyone' - if you enjoy anything different, you're wrong, you're 'them' and not 'us'. At a time when we have access to a much greater diversity of media than ever before, it seems less likely than ever that 'everyone' is actually reading or watching the same things; yet these people don't seem to be able to entertain the very simple idea that it's OK for different people to have different tastes. And as for history - I think that's what worries me the most. They expect instant answers - that's the social media curse, too - and their understanding of history goes back to about 2005, with little perception that some trends and changes may be decades, not days, in the making. To call any view 'old-fashioned' is considered to put a conclusive end to any discussion, and to say that the view in question is not to be expressed in public. How is it possible in that climate to study or talk about history, or the literature of the past? If we lose the ability to publicly discuss or empathise with different perspectives, even if we find them uncongenial, we might as well give up on studying any period or culture but our own. For yes, indeed, people in the past thought differently from people in the twenty-first century. And those of us who try to explore those differences, to provide little glimpses into other ways of thinking, get shouted down. You want to plead with such people to read a book - any book! - written before the turn of this millennium, so that they might begin to understand that their beliefs and prejudices are not timeless and immutable, but as culturally dependent as anyone else's. They believe that they and their friends have achieved absolute and unquestionable truth on a whole range of subjects which just twenty years ago were viewed very differently, and they simply cannot imagine that anyone could have another opinion. Very often these are people who pride themselves on being educated and tolerant, but they're proof that formal education really does nothing to help a determinedly narrow mind. The ignorance isn't as bad as the complete lack of empathy or imagination. Anyway. I know there's not much to be achieved by talking about this - hypocritically adding to the anger, maybe. Perhaps I sound as virulently negative as the people I'm talking about; and when many of us are self-appointed internet journalists now (me included, of course), perhaps it's our fault that the professionals feel they have to shout louder to be heard. Sometimes I think there's nothing to do but try and ignore it all - to go outside, get lost in work, read more books. But if every alternative view of the world is to be driven out of public discourse (even if by 'public discourse' I only mean dumb-and-nasty Twitter), how can things ever improve? I would love to believe that social media and the opportunity it brings to hear voices outside the mainstream could recapture some kind of diversity of belief and experience, rather than just making everyone hate each other more. There are billions of fascinating people out there in the world, and their stories are worth listening to. Yes, they have a wide range of political and religious beliefs, and some of them don't think the way their 'betters' think they should. Often all that means is that they have different experiences and different priorities, and they interpret the world differently. They're still human beings of immense and limitless value - absolutely every single one of them - and nothing can change that. I've made this post much too long in the hope that the kneejerk angry people won't bother to read all the way to the end. 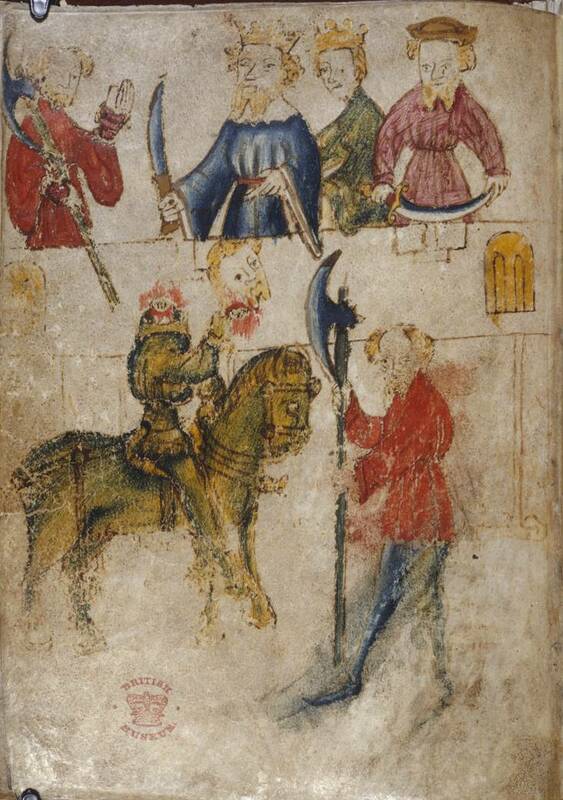 For those of you who have, here's a reward: a bit of Gawain and the Green Knight. Uch hille hade a hatte, a myst-hakel huge. Wela wylle watz þe way þer þay bi wod schulden. They climbed cliffs where the cold clings. Each hill had a hat, a great cloak of mist. Breaking white on the shores where they showered down. Very wandering was the way they had to take through the woods. This is one of the poem's most distinctive bits of landscape-writing, and it contains some characteristic northern dialect words, such as muged, 'drizzled', which appears nowhere else in Middle English. Chaucer, the fourteenth-century equivalent of the 'metropolitan elite' (he would have been so popular on Twitter!) at different times mocks both this style of poetry and its subject-matter; this kind of thing wasn't to his taste, and perhaps he thought it old-fashioned. Well, everything that's fashionable becomes old-fashioned in time, but that doesn't mean it becomes worthless, or not worth learning about. Whatever time and place you happen to find yourself in, it doesn't have to be the boundary of your imagination and empathy - and shouldn't be, surely, if those faculties are good for anything at all.